Stash or Trash #1 – Recap! Time to go through all the products in my first post in the Stash or Trash series. If you have not read the intro I suggest you have a look. I explain the deal about this series in that intro. I have worked my way through all the products and now I made up my mind if I want to keep them or not. The products on one side of the palette are things I will keep, and the stuff on the other are things I will get rid of. Can you guess which side is which? Let’s just start with the eyeshdow palette, because I decided something special for that one. I tried it out, and the quality of the eyeshadow is really not good. I can tell you that a lot has happened with Urban Decay eyeshadows since this palette was released. It probably does not help that it’s old either. I decided to not keep this in my collection, but I wont get rid of it either. I decided to just store it in a box separate from my makeup collection. As a curiosity. I have several makeup items I think can go into this box eventually. It’s just that some things are so old that even though It’s not really usable anymore it’s fun to have. Imagine how fun this will be to pull out and have a look at in 5 years, or 10, or 20. So I made a makeup artifact box. For now a small one, but I have it dedicated to these kind of things that I don’t feel like I need to keep in my collection of makeup, but I still want to keep. Who knows, maybe one day I will do a blog post with all the makeup artifact box. This will be the first item I put in it. So let’s talk about the things I will not keep. Hope Girl Illuminating Powder is just something I don’t understand. It’s a loose powder full of glitter flecks. They are too sparse to actually work as a highlighter, but as a setting powder it leaves you looking like a disco ball. It’s just not flattering either way and I don’t understand how it’s supposed to look good on the face. Yes, I could use it on my legs for instance, but I know I will never remember to do that. So this one is decluttered. Everyday Minerals “Like Lady Bird Lake” is a nice enough blush, but not special enough I feel for me to reach for it. I am not the biggest fan of loose blush, and this one has tiny flecks of glitter in it as well. So this one also got a spot in the decluttered pile. The Man ZI Miao Wine Lip Tint is really cute, but I got two others and as I recall they are not that different since they are tints. I think I will keep one of them because they are super cute, but I can let this one go and then decide which one of the others I will keep. Kiko Long Lasting Cream Eyeshadow was just not for me. I am not the biggest fan of pink, and this one was a bit dried out and made my lids just very textured. I do like these eyeshadow pots from Kiko, they usually look good and stay really well, but this colors just did not work for me. The Smashbox Waterproof Shadow Liner I tried once but gave up. This is just too dried up, and I found it a bit poorly pigmented as well. In the bin with it! And then the things I decided to keep! The L’Oreal Lip Paint Matte was something I remembered as a tiny bit drying, but when I used it again now I did not have the same experience. But the thing that made me make up my mind to keep it was the scent. It smells like strawberries! That other lipstick with a unknown brand or name that I got as a freebee with an order and never used surprised me. It’s a very flattering and easy to wear red, that has a very decent staying power, feels comfy and fades away nicely. I did not expect much from this, actually I was convinced this was one of the things I would trash, but I ended up really enjoying it and can absolutely see myself reaching more for this shade! So it’s a keeper! The Estee Lauder Bronze Goddess Liquid Bronzer I used maybe 6 or 7 times during this testing period. It’s very easy to blend into the skin and gives a warm but natural bronzed look to the skin. A very natural looking product that was easy to work with. This will be perfect for spring! lastly the Estee Lauder Pure Pops Cream Eyeshadow I ended up keeping as well. It does give a very nice sheen and color to the lid, and works nicely as a one-and-done eyeshadow for busy mornings, plus it really stays put all day. I just have to remember to use it. 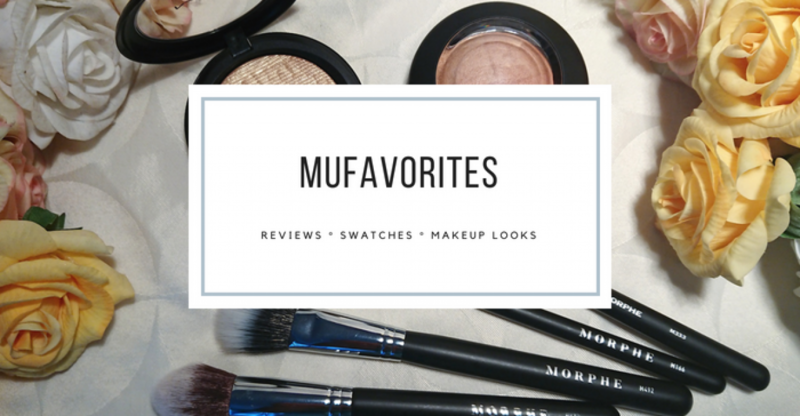 4 products are kept, 5 products are decluttered and one is put in my makeup artifact box! I hope you enjoyed reading this, because I think there will be a new round of Stash or Trash coming soon. For someone like me who have a really hard time decluttering it’s very handy to do this because it will force me to go through my old stuff and really think about if I should keep them. If I turn out decluttering something then I managed to clean out some old stuff, and if I manage to rediscover an old product that is equally good! So I will for sure do another round soon! What is your strategy for decluttering makeup? Do you have a hard time doing it, or are you able to be cut throat?